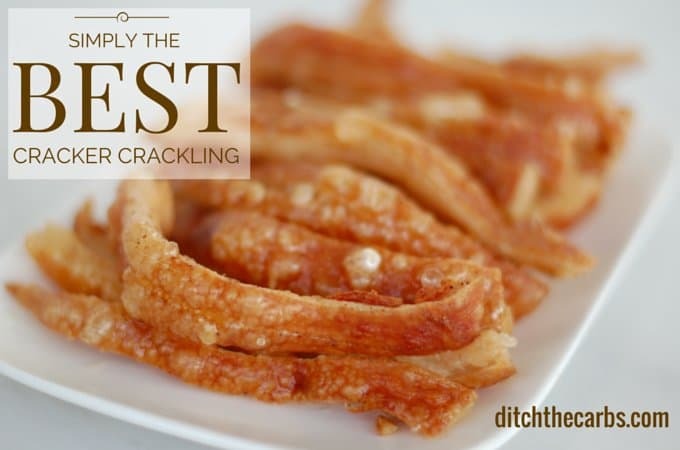 How To Make Crackling - the EASY way with NO knives!!! 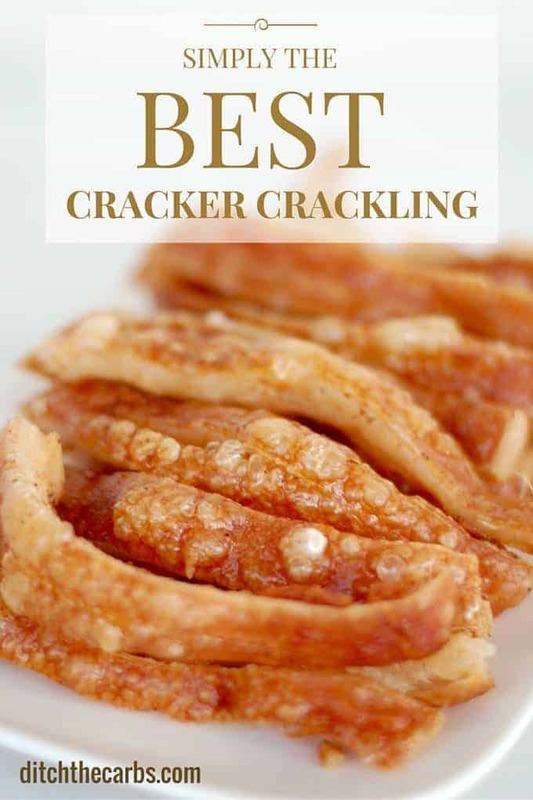 I love crackling but I find the crackling you buy in stores is packed with artificial flavourings, preservatives, expensive and generally cooked in canola oil. If you have ever wondered how to make crackling, take a look at my secret method. I discovered by chance the other day that my local butcher sells pork crackling (pork skin) ready scored and at a bargain price. The very next week I also saw it for sale for the first time in my supermarket! If you can’t see pork crackling for sale, ask your butcher or supermarket as they may not even be aware there is a demand for it. If you have made crackling before, you will probably have tried to score the skin with a sharp knife, such as a craft knife or stanley knife. I will show you how to make crackling with no knives at all, yes zero, nix, zilch, nada, nothing. No more cut hands or uncut thick pieces of crackling. Your crackling may or may not come already scored. That doesn’t matter. Don’t worry, I will show you how to make crackling without any knives or score lines. Lightly oil a baking tray that has a 1 inch lip/side. The oil is just to stop the crackling from sticking initially. As the crackling cooks, the pork fat will drain away and the pork crackling will cook in its own fat, hence the need for a baking tray with a 1 inch lip/side to contain the pork fat. Place the crackling on the baking sheet. Rub in whatever herbs and spices you may like. I flavoured one sheet with lots of salt and another sheet with salt and chinese five spice. Place the baking sheets with crackling into the oven at 180C/350F for 10 minutes. This is the genius part. Once they have heated, but not begin to cook, the crackling is extremely soft and pliable. Now I said I will show you how to make crackling without knives – get your kitchen scissors out! 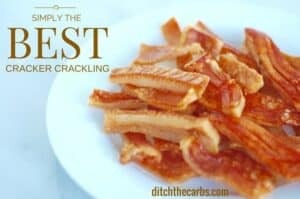 Remove the baking tray and cut the crackling into strips or bite size pieces as easy as anything. Hold the crackling with some kitchen tongs whilst cutting with the scissors. Using the scissor method, you can get crackling strips as thin as you like or any shape you like. You might want to try triangle shapes, or squares to use instead of crackers? Place the cut crackling pieces back into the oven on the baking sheet. As they cook, more pork fat will drain out of the crackling which will in effect fry the crackling pieces to be crispy and delicious. Cooking time depends on how crispy you like your crackling and how thick or thin you have cut each piece. My crackling took about half an hour in total as a guide. 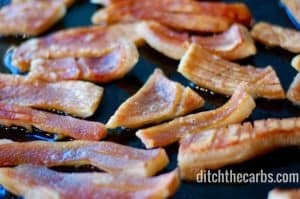 Once you learn how to make crackling, there is no going back to store bought again with all those nasty seed oils. Place the pork crackling on an oiled baking tray with a 1 inch lip/side. Season with salt and/or herbs and spices. Cook at 180C/350F for 10 minutes until soft. Remove from the oven and using kitchen tongs and kitchen scissors, cut into strips or shapes. Cook until golden and crispy. Drain the crackling and pour the rendered pork fat into a heatproof jug. Cool the rendered fat and use as cooking lard. Store the lard in the fridge. Once you have learnt how to make crackling you will want to store it to remain crunchy. 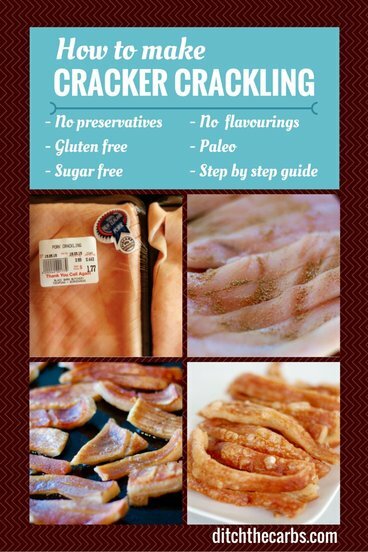 If you store crackling in the fridge it tends to lose its crispiness and go chewy and rubbery. If you store it in the cupboard it doesn’t stay fresh for long because it doesn’t contain any preservatives (other than salt). I have discovered to keep your crackling fresh and crispy, line an airtight container with kitchen paper, place your crackling inside, then place another folded piece of kitchen paper on top before closing and sealing the airtight lid. This way it will stay fresh for up to a week at a cool to moderate temperature. It is autumn here now so room temperature is quite cool. If I were to make this in the summer, I would probably reduce the expiry date to 5 days. Again, this is incredibly individual due to factors such as humidity, how crisp your crackling is to begin with, how airtight your container is, room temperature fluctuations, the amount of salt you used etc etc so you will have to check your crackling is still fresh and edible (don’t eat if the fat smells oxidised and rancid). Leave a comment on what herbs or spices you have tried and any other tips on how to make crackling. I love reading your tips and ideas. I make these when I make a quart of lard. Toss the leftover bits from the lard (after you have strained off the lard) into a heated non stick pan, season with salt and pepper or herbs, fry until crispy. Perfect. 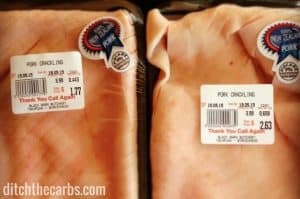 Hi Libby – I bought some crackling from New World, but unfortunately according to the butcher there, it is from crate raised pigs! ☹️ I’m going to try the recipe with this (looks yummy!) but after that I’m going to try to source some free range pork. There are several lovely pig farms here in South Canterbury – I guess I’ll just have to roll up at the gate! My method with crackling is simple.Let your partner roast the pork in the normal way,then remove the cooked skin carefully,leaving as much fat as possible on the joint.Next,using strong kitchen scissors,cut into two inch square pieces and then put in the microwave.Should the amount be about a large mug full,one would need to microwave for four and a half minutes at No.180. A small basin is best used to contain the aforesaid part-cooked crackling and it important to place a suitably sized plate over the top to control the splattering whilst microwaving. Voila! You have perfect crackling. Present the whole amount -after straining off the hot fat -on a side plate ant then help yourselves. Thanks for the recipe. I made it today, very crispy, in fact a bit hard. I only cooked it for 25 mins. Anyway it tastes ok, just a bit hard on the old teeth. I used salt and oregano, nice taste. I absolutely love your method! I had only ever made crackling on a pork roast. Never occurred to me to just get some pork rind. How do you store the rendered fat? Should you keep it in the fridge? I poured it once it was cold into a clean glass jar and it is sitting in my fridge. Besides pork crackling, I’ve located a regular supply of chicken skins. These I roast just like my previously mentioned pork. My wife prefers the chicken-skin crackling. I get lots of chicken fat every time and store it in tupper-ware containers for a week in the ‘fridge or freeze it. Giving this a try for dinner tonight. I think it’s more of an English term, it’s really crisp pork rinds. You ask the butcher for pork crackling, rind or skin. Just made these with some free pork skin from my butcher. Seriously delicious. Thanks for the receipe. Sitting here nibbling on some – mmmmmmmm. I have tried cutting it your way several times but found it too hard to do as I found the skin would go super sticky. BUT this morning I had an idea lol! When I do pork roasts, I use a craft knife to score the skin on it, makes it so easy. So I thought this morning, why don’t I try with doing this! Discovered the easiest way to do it was to start slicing with the fat face up, slices through the whole thing like butter! And as long as you wipe it every so often it is as quick and easy like anything! When the blade starts going blunt you just snap the top off and its like having a whole new knife lol! I have also been finding that just doing in a tray, it wouldn’t cook properly in its own fat and often burn, so I put it on a rack type one instead this morning, and it was beautiful! So perfect! 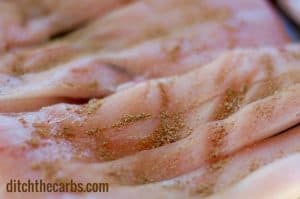 Do you put the crackling into the oven skin side up or down? I start skin side up, fatty side down, but as they cook, they tend to curl and cook all over in the rendered fat. Asked my local butcher for some crackling, he scored it and handed it over for free, what a great butcher. Would never have thought to ask for it. Thanks. I have tried a few different methods, in my attempts to replicate the sort you can purchase in USA. This is definitely the easiest and best mthod. Every piece puffed up! And I loved the nice clean lard that drained off. I just salted mine. Won’t need to buy the hard, over priced and over salted NZ offerings. Thanks Libby! You rock! I just sprinkle salt on quite liberally but not to excess. Yes I cool them then use kitchen paper/ paper towels for storage. Can’t wait for this heat to die down and I can have the oven on again soon to make these again. I have never made these, but we ate them a lot as a kid. I place the pork skin on a rack over an oven dish so the fat drains off and can be used later. I find this works well. Delicious!!! Is 180c the cooking temperature for the entire cooking time or do you increase the temperature after you cut it up? 180C/350F for the entire time. i don’t like to cook it too high as you are at risk of burning them too easily and the pork fat smoking. Thank you for sharing. I made some today & it turned out great. I was just reading your thoughts on storage & realised I may have made a mistake by only salting 1 batch. The second batch I made I didn’t salt as I planned to mix the 2 batches together because the first batch seemed too salty. I’m wondering if this will shorten the shelf life majorly. It is cool weather at the moment but it is still a meat, so, I’m wondering your thoughts on this. The salt is more for taste rather than storage and long shelf life. I’m sure if it is cool they should last as expected but as always, check to make sure they are still fresh. The smell of slightly rancid fat will indicate they are going off. Sounds really good, I will definitely try this soon. Thank you! How much calories per 100g please? I can’t really calculate it for this as there are so many variations which will affect the calories/fat e.g. : how thick you cut the slices, how much fat you let drain off, how thick the skin was and how much fat was under the skin etc. My method works a treat, because I use a Sunbeam AirWave fryer. I’ve used the scissors method, but can mostly buy either scored pork-belly or sliced pork rashers. Then I place the meat directly into the lipped lower basin ( thus no rack), sprinkle lightly with Himalayan salt & black-pepper. Pork-belly requires 1 hour on 1 side & 1 hour on the other side ( you turn it over). Pork -rashers ;sprinkle lightly as well with Himalayan salt & black pepper & require about 20 minutes per side. Crackling : ( also sprinkle lightly with Himalayan salt & black-pepper) & cook each side about 30 minutes per side,until brittle enough to your liking. All the above is cooked in it’s own fat. When done, you can also strain all the fat into a receptacle to keep as lard in the ‘fridge, for other cooking. Have you tried cooking in the microwave. It turns out pretty good. Place whole scored sheet with salt into microwave, on microwave safe dish, cover with paper towel. Cook each sheet for 8 mins. Take out and put on clean paper towel to cool. Turns out like the packet pork scratchings you can by. That’s a brilliant idea. Thanks Linda. Oooh I’m going to try your method. I got Westmere Butcher to dry some for me which was great however chopping it up was a mission because it was so hard. This is so easy, I don’t know why I have never tried it before. No going back now. I can not wait to try this! I use to make beef “crackling” back in the day when you used to be able to get a steak with fat around it. My hubby just loved it. Made it with chicken fat too. Never with pork though. I will be doing it as soon as I have the time & the pork fat. Thank you for sharing. 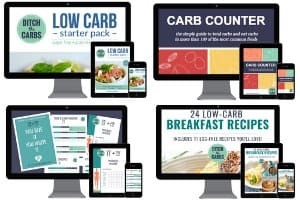 By the way, I love all your recipes! Margie, take the batteries out of the smoke alarm while you make the crackling. Be sure to put them back in when you are done!